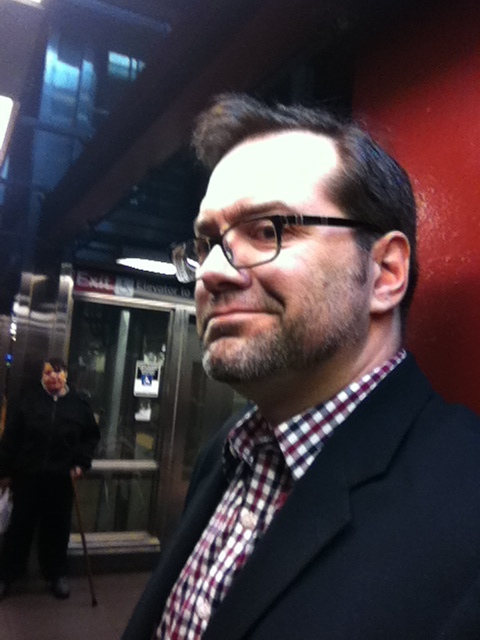 Matt Yglesias recently linked to the above chart on college enrollment as an illustration of the huge size of the American community college student body. His thoughts on that subject are well made and worth reading, but it’d be a missed opportunity to end the discussion there. American higher education is overwhelmingly public. A full 77% of American college students are enrolled at public colleges and universities. The for-profit sector is a tiny sliver of higher education enrollment, despite its outsized share of government grant and loan money. Private research universities enroll only 4% of American undergrads, just one fifth as many as public research universities do. Traditional non-profit private universities and colleges enroll only 15% of undergrads, and about a quarter of students in bachelors degree granting programs. Taking private and public institutions together, only 24% of US undergraduates are enrolled at research universities. Yglesias is right to point out the cultural invisibility of community college students, but our myopia extends far beyond the two-year/four-year split. Americans’ image of undergraduates is based on a higher education model that hasn’t existed in reality in generations, and those distortions have far-reaching effects on public policy and public opinion. Definitely an interesting graph, assuming it’s correct. Thanks for sharing! An important post that SHOULD reconceptualize attitudes about postsecondary education in the United States, even though it probably won’t. 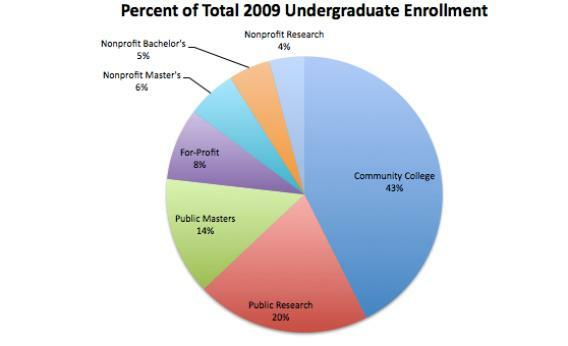 I don’t see public four-year colleges represented as an entity on the chart. Do you know if it’s lumping public bachelor’s-granting institutions in with community colleges, or are they a vanishingly small sector of their own because so many public traditionally undergraduate colleges have started adding a few graduate programs to their offerings? Not to diminish the importance of CCs by any means — those Carnegie numbers are striking. I wondered about the lack of BA-only public institutions on the chart myself, Emily, and in fact that was the primary reason that I went looking for a source for it. I haven’t been able to figure out why that sector is missing, but it’s clearly not subsumed under the CC category — I confirmed the enrollment numbers for public CCs at Carnegie, and they check out.